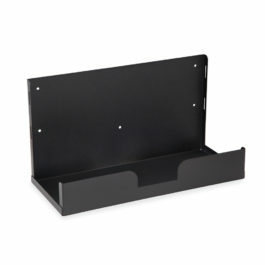 Adjustable CPU Holder is a superior mounting solution for safely securing your computer off the floor and at a more convenient access height. 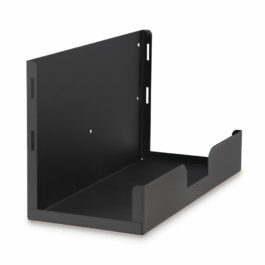 The universal design adjusts both vertically and horizontally to accommodate computer towers large or small. 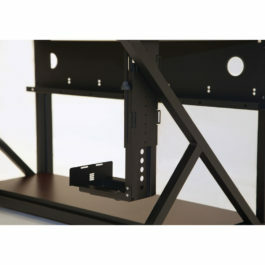 With multiple mounting options you can choose whether you want to suspend your computer from under the work surface or mount to the side of your workstation. 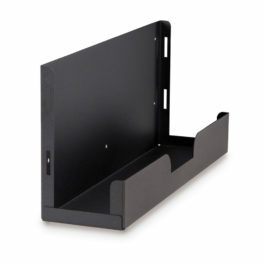 Wall Mount Desktop CPU Bracket is designed to safely store tower computers out of the way by mounting them to the wall or the side of a desk. 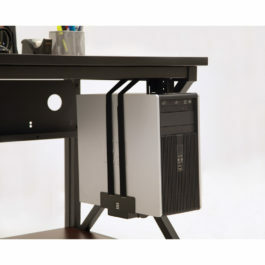 Desktop computers and PCs that sit on a desk take up valuable workspace, look cluttered and unorganized, and run the risk of being damaged due to soda or coffee spills. But the floor is no place for it either. Computers located on the floor are in continual danger of being jostled and kicked, not to mention the difficulty in accessing the drives, ports, and card readers. 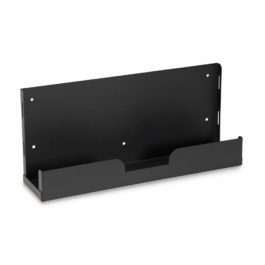 By installing this Wall Mount CPU Bracket, you can create a more functional and organized workspace while also better protecting your PC from damage.